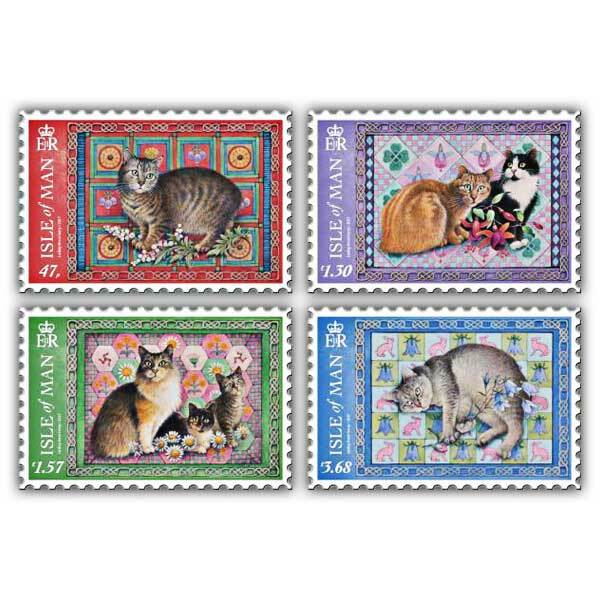 This glossy four page booklet beautifully displays this set of four mint condition stamps by renowned cat artist, Lesley Anne Ivory. 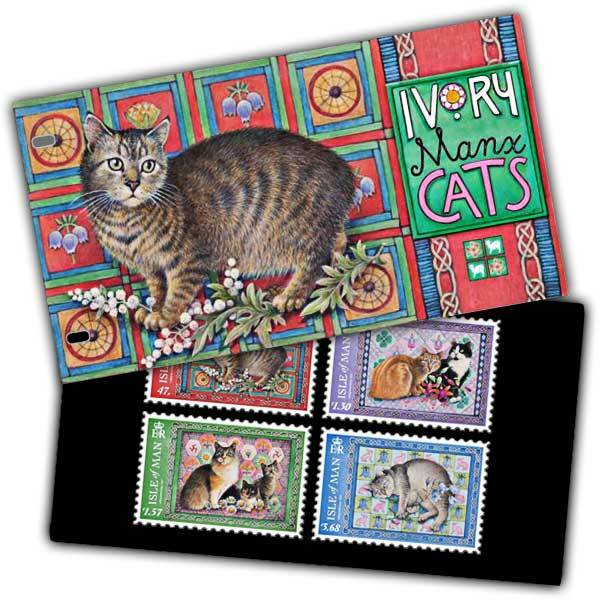 Ivory Manx cats Presentation Pack. presented and great value for the price.they were very impressed with the quailty and presentation.